What are the Symptoms and Treatment of Gum Disease? 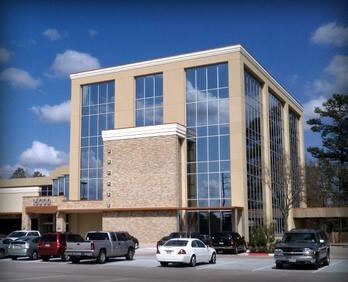 Welcome to our Spring, Texas Dental Practice! Dr. Mitschke and his friendly team provide a wide array of general, restorative, and cosmetic dental services. Our central focus is on the personalized care of each and every patient. We truly think of our patients as family and want you to feel right at home in our office. Our goal is to provide excellent dental care in a comfortable and caring environment for all ages. We utilize the latest technologies and highest standard of care in all aspects of our dentistry. We also strive to serve our patients as if they are family and to truly enjoy our relationships with them! There are a number of reasons that require tooth replacement including: trauma, disease and infection. Dr. Mitschke offers tooth replacement options for patients seeking to fully restore their ability to eat, speak, and smile. Dr. Mitschke can restore dental implants with custom abutments and porcelain crowns, implant-supported dentures, customized partial and full dentures, or a porcelain bridge. If you would like to brighten your smile, we have treatment options to specifically meet your needs. Our office offers the KÖR whitening system, as well as custom whitening trays. Choose from a wide range of cosmetic, general, and restorative dentistry services at our Spring, Texas dental practice. Dr. Sam Mitschke serves Spring, Houston, Tomball, The Woodlands, and surrounding towns. Make your appointment today! I feel very appreciated as a patient at this office. Everyone from the dentist, dental hygienist, and office personnel are very caring, friendly and welcoming. They follow up with patient; go above and beyond for you. The office is pristine and well organized. I highly recommend Dr. Mitschke & his team. Sweetest staff in the world that make you feel so comfortable and dare I say loved?! So serious! A calm loving environment where I use to be extremely anxious about going to the dentist. Dr Mitschke is super gentle and prefers to work without those weird mouth things that hold your mouth open. I felt like they put a huge emphasis on making me feel comfortable and it is always awesome. You can also pick up seeds there that come with the docs business cards, he is an avid gardener. I would absolutely recommend him to anyone. We understand how busy you are. The last thing that you want to do is run all over town to get every person in your family treated to have a beautiful smile. To help our patients, we are proud to offer many different types of dental restorations depending on their specific needs. If you have any questions or would like to set up an appointment, feel free to contact us today at (281) 370-2500.